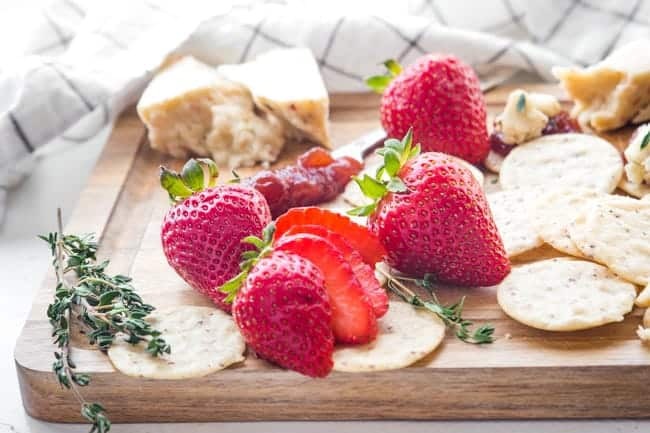 These Strawberry Thyme Vegan Appetizer Bites will make you look super classy and creative without spending more than just a couple of minutes throwing them together. Vegan appetizers are hard, aren’t they? I mean, of course, there’s always the veggie tray. And there’s probably some sort of chip or cracker. But there’s also a boat-load of meat trays, cream or cheese-based dips, and of course the little weenies and shrimp platters that seem to show up at every holiday party. I always tell myself I’ll be fine. I don’t need any appetizers. I can just wait for the main event. 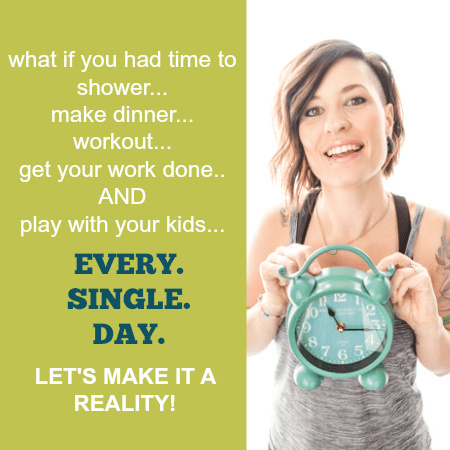 And then we get there… and I’m STARVING! You’d think I’d learn by now. My in-laws are notoriously late-starters. They say dinner’s at 5… plan on not eating till at least 6:30 when everyone finally rolls on in. You betcha I’m gonna need something to gnaw on between the time we get there and the time we finally get to corralling everyone in to eat. This holiday season, I’ll just take charge of the vegan appetizer situation and make sure I have something that not only I can eat, but that everyone will love! These little cracker bites are so easy to whip up that I feel a little silly even calling it a recipe. 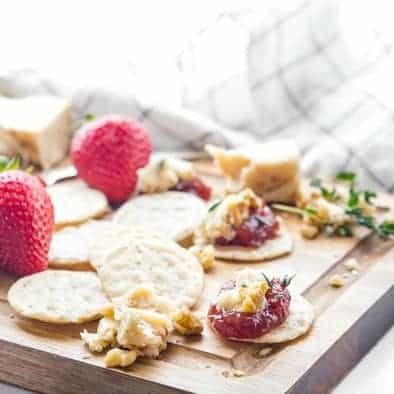 If you can spoon a little dab of jam on a cracker and sprinkle little garnishes on top, you can make this happen in no time. Literally no real prep at all. 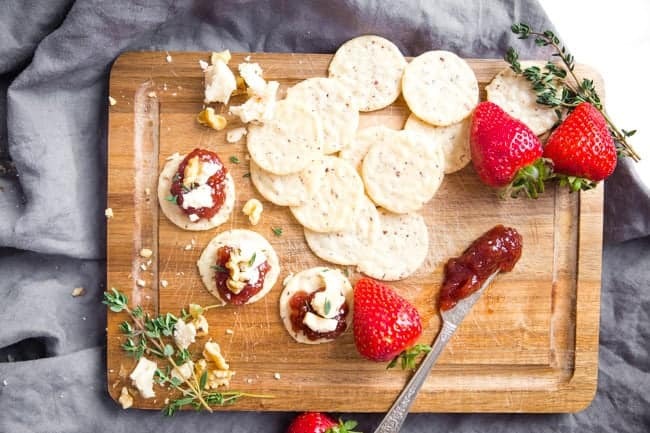 Place a spoonful of strawberry preserves on a cracker of your choosing. Then you’ll top the preserves with a crumbling of vegan cheese, a couple sprinkles of chopped walnuts, and a little bit of fresh thyme. Uh, could it be any easier?! I think not. You have enough to stress about with the main dish, the sides, and of course the dessert. Don’t let the appetizer hang you up. Keep the appetizers simple and low-key so you can worry about the main event. 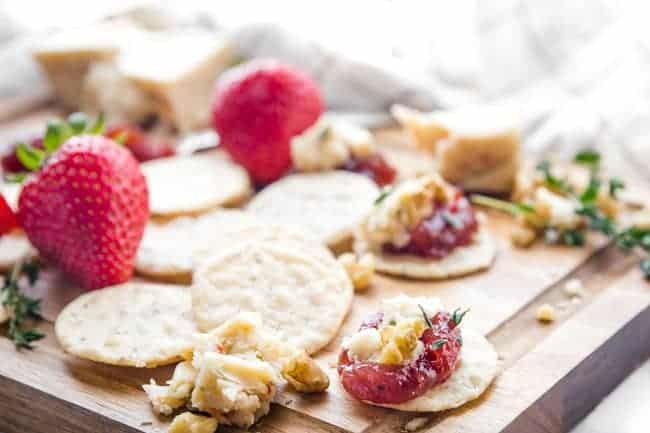 And if you’re going to a party, you’ll look super classy and creative with these vegan appetizers without spending any time at all on them. Of course, another vegan appetizer favorite is my sweet-and-sour meatless meatballs that everyone just loves. And did you know you could make a Vegan Charcuterie board for the holidays? I’ll show you how! For more appetizer inspiration, be sure to check out my healthy Thanksgiving Appetizer Collection – they aren’t all vegan, but they’re lightened up and may give you some great ideas! 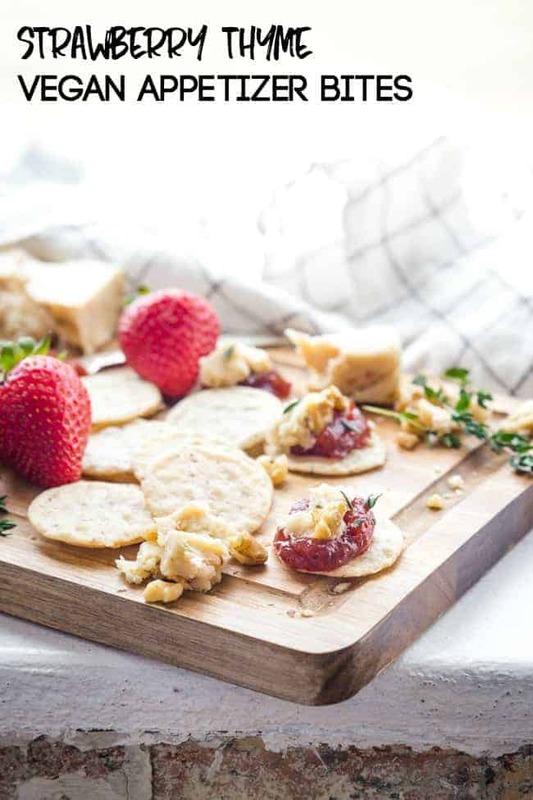 Top each cracker with about 1 Tablespoon of preserves, a small crumble of cheese, thyme, and chopped walnuts. Serve on a plate, tray, or cutting board for your guests. Alternatively, you could place all ingredients on the tray for your guests to assemble themselves (but assembling yourself takes the guesswork out of the equation). Vegan Cheese - the only vegan cheese I can stand eating all by itself (in hoards) is Lisanatti Almond cheese. I love the mozzarella, pepperjack, and cheddar varieties in this brand. Looking soo beautiful and testy ??????????????? ?